My usual response consists of going over the current state of their home and picking the most essential fixes and updates to get the home into top shape to compete and stand out in the current market without over-investing. After having this conversation several times I prepared this brief 7 step guide to helping sellers prepare their home for sale by taking basic steps to make sure it photographs well, shows impeccably, and attracts buyers as the end result. #1. CLEAN! 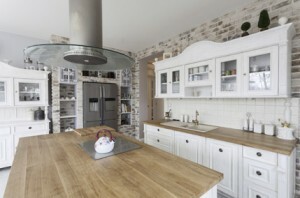 The number one thing a prospective buyer will notice upon entering a home is the apparent cleanliness of the home. It is difficult for most people to visualize beyond the reality of the current state of the home, so a dirty home can project a negative vibe to the buyers. I always recommend steam-cleaning or shampooing carpets, deep cleaning any other fabrics or drapes that over time can build up odors and going the extra mile to deodorize anything that may need it, and as a last touch add a couple mild scented plug-ins to keep the home fresh without that overpowering “cover-up” smell. If the prospective buyer gets a good first impression of the home and feels that the home is clean and well maintained, they will be more likely to consider the property as a their future home. #2. Organize and Give Away! I am guilty of this myself, it wasn’t until I moved out of my first home that I realized the amount of furniture, clothing, and miscellaneous items I had acquired over the 5 years of living in that home that I could throw away, give away to charities, or put in storage to make my home look bigger, cleaner, and to simply organize my life! I strongly advise taking the time to go through the home and identify items like bulky furniture, out-of-place items, over-flowing closets or shelves, and placing these items in storage or giving the and unwanted items away to someone who can appreciate it. Make simple things like the refrigerator look presentable, even if that means removing finger-paintings, pictures, and magnets . Picture your home when you first moved in, and present your future buyers with that same ideal image when they come see your home. The truth is, you need to pack up all your belongings at one time or another, so starting before you sell the home can help you make that sale sooner. #3. Neutralize the home. This simply means to make the home more appealing to the mass audience, rather than to just you and your significant other. If you love black and purple in the man-cave that’s fine, but perhaps a coat of neutral colored paint can make the room feel more welcoming to the majority of prospective buyers looking at the home. Sometime putting your pride aside for a short time to stray from your likes and dislikes to make the home appeal to the average home-buyer can go a long way in increasing the interest in your home. #4. Pets…Never let the pets take control of your home while you are attempting to sell it. If this means restricting their access to only certain parts of the home that you can more easily keep clean then this may be necessary. Many of us get used to letting our dogs, cats or any other extensions of our family become spoiled. Unfortunately for a prospective buyer, the appearance of that clean, fresh smelling home is sometimes hampered by the family dog that leaves hair and droll in every corner of the house. A last resort can sometimes be to leave the family pet with nearby family or friends while showing the home if that’s an option. I love my dog, but I also respect the fact that by opening my home to buyers of all types I have to accept that most buyers don’t appreciate the clear presence of a pet in what could be their future home. #5. Light! Sometimes overlooked, the ability to let natural light shine into your home from any window, skylight, or sliding glass door possible is important to most buyers. We all like to see rooms lit up by the sun and really showing their true colors. It gives us a sense of warmth that makes you feel more comfortable in the home. A cold, dark place can make someone want to leave to property sooner than if the home was warm and well-lit. This is a basic principle, but simply opening up the blinds, curtains, or skylights can allow natural light to shine in and really make the home stand out in your prospective buyer’s minds. #6. Repairs. Make sure anything that you know for a fact needs to be repaired is repaired and appears to be functioning correctly. It can be a big turn-off when someone walks into a house and the doorknob is loose and then the sliding door doesn’t slide, and the faucet leaks. Take the time to go through the home and make any repairs that need obvious repair. Also, painting and caulking can help around windows, baseboards, and in the bathrooms can project the same sense of home-ownership pride that a possible buyer may appreciate in the home. It’s the little things like having a functioning and well-maintained home that can go a long way! Lucky #7. Contact a real estate agent. Once these basic steps are completed, it’s a great idea for anyone who wants to sell their home in the near future to contact a licensed real estate agent for advice on how to compete with their neighborhood listings with both features and price, and how to attract prospective buyers to sell the home quickly. A real estate agent can help the seller with comparing the current active listings in their immediate area to identify and strengths and weaknesses that their subject property may have, and by identifying these characteristics, they can then help the seller exploit these strengths when listing their home, and update or improve on the weaknesses to better compete with the current market. If a seller is moving out of their home before they plan to list it, a listing agent may sometimes recommend to staging the property to to achieve a higher sales price and sell the home quicker than if they were to leave the property empty and barren. These are just a few of the things a seller’s agent can help the seller with in the early stages of planning for a future sale, and every agent will have their own way of assisting with the sales process, but every seller should take advantage of this opportunity to maximize the value of their sale.